Ordinators are the holy guards of the Tribunal Temple. 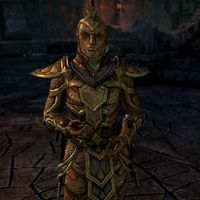 They enforce Temple law across the whole of Morrowind and have authority over almost every organization. They are typically recruited from House Indoril, with their influence especially seen in their armor style. The Hands of Almalexia are an elite subset of Ordinators, chosen to serve the living goddess Almalexia. This page was last modified on 16 August 2018, at 19:46.